Le Bougainville, a member of the Ponant Explorer yacht series, embodies the subtle blend of refinement, intimacy, and comfort that Ponant is well known for. The ship features 92 elegantly designed cabins and suites with large windows that provide guests with a unique cruise experience. It also boasts environmentally-friendly equipment, and a luxurious setting that allows for an incomparable experience and the possibility to explore an increasing number of destinations. Aboard the ship, guests will find two restaurant options. Deck 3 offers a relaxed dining atmosphere, and Deck 4 provides a unique dining area that opens onto the outside. 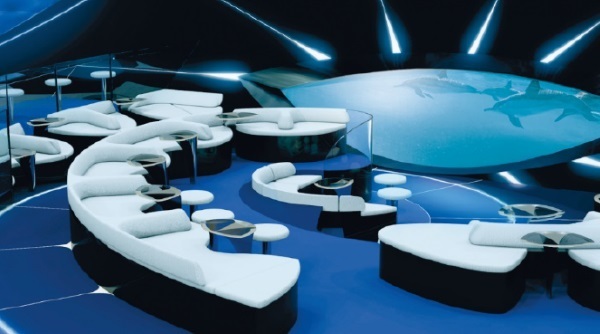 Guests will also find access to various other attractions and activities on board such as a panoramic pool, solarium, outdoor bars, theatre, and the multi-sensory underwater space named Blue Eye.